Boardwalk Empire Recap: The Sins We Can Live With Heart attack, people! Nothing to see here! Boardwalk Empire Recap: Suffrage Yes! Lucy! Naked! Again! 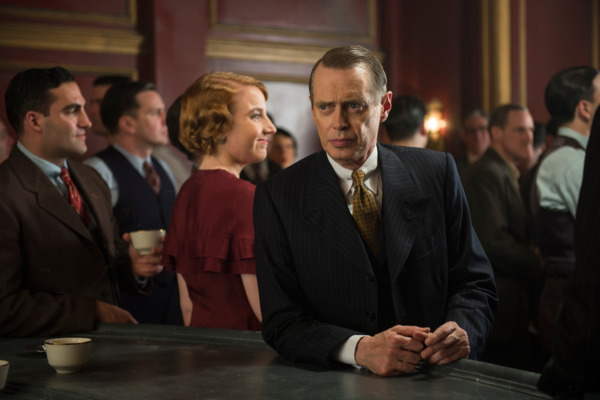 Boardwalk Empire Recap: A Power You Do Not Suspect Last week, we saw Margaret’s eyes finally opened to Nucky’s world; this week, she’s on her way to becoming Nucky or, at least, a very capable Nuckyette. Boardwalk Empire Recap: God’s Plan This week the series takes a moment to pause, reset, and reload. Boardwalk Empire Recap: The Best Episode So Far? If there was a rough consensus that last week’s episode was the best one of the season, let’s raise the ante right now. 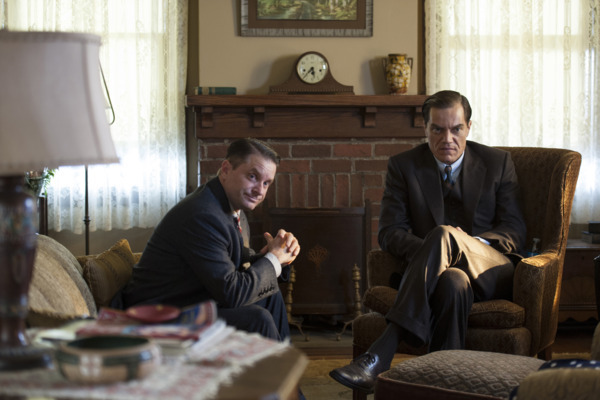 Boardwalk Empire Recap: Enter the Whipping Boy Everybody is talking about the final scene, thanks to Michael Shannon. Boardwalk Empire Recap: The Dumber They Come Omar returns! 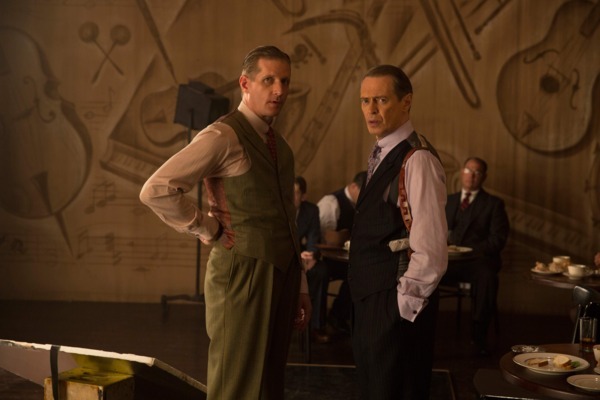 Boardwalk Empire Finale Recap: War Memorial Nucky Thompson finally breaks all the way bad. Boardwalk Empire Recap: Losing Their Religions Oh, hello, payoff episode. Glad you made it! Boardwalk Empire Recap: Take the Bath Yourself Manny the Butcher shows the Darmody-Capone axis how killing-on-purpose is done. Boardwalk Empire Recap: Thank You for Talking Heading into the homestretch. 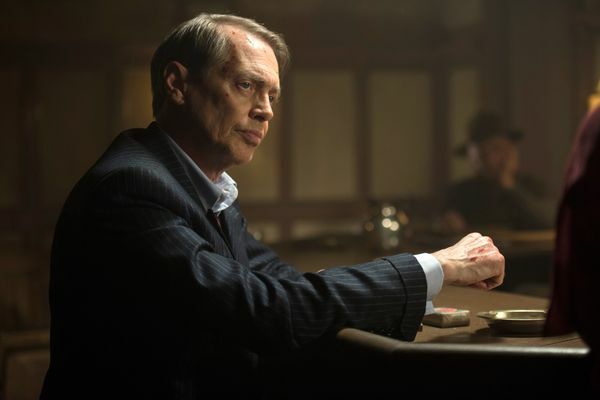 Boardwalk Empire Recap: Just Bookkeeping Would you believe that Nucky is not successfully murdered? Boardwalk Empire Recap: I’m Confessin’ The Highly Effective Confessional Habits of the Guilt-Ridden. Boardwalk Empire Recap: Get in Line Or, how to scalp a man. Episode 4 What Does the Bee Do? Boardwalk Empire Recap: Outsider Artists Jimmy’s finding new buyers, Nucky’s finding a way out, and Chalky just stews. Boardwalk Empire Recap: Hired Help Discipline and punishment and lobster. Boardwalk Empire Recap: Dirty Laundry Welcome to season two! Boardwalk Empire Recap: Somebody’s Always Gotta Lose Whatever happens between now and next season, the writers are going to have to set up someone new to lose. Boardwalk Empire Recap: We All Take Care of Each Other, Son Boardwalk Empire has to be the most uneven “good” show on television. Boardwalk Empire Recap: Rogue Waves Boardwalk Empire finally brought just about all of its narrative threads under the roof of a single episode. Boardwalk Empire Recap: Not Really Doin’ Questions and Answers Right Now Dream Nucky is such a frustrating main character to have around for a full hour. Boardwalk Empire Recap: We’ve Said Our Good-byes Already If you were on the fence about whether to continue on with Boardwalk Empire, this episode might have convinced you to stay with it. Boardwalk Empire Recap: It’s Hard to Know What to Say to You The Thompson Family Easter. Boardwalk Empire Recap: Know How to Keep a Secret There’s lots of great misdirection in this episode. 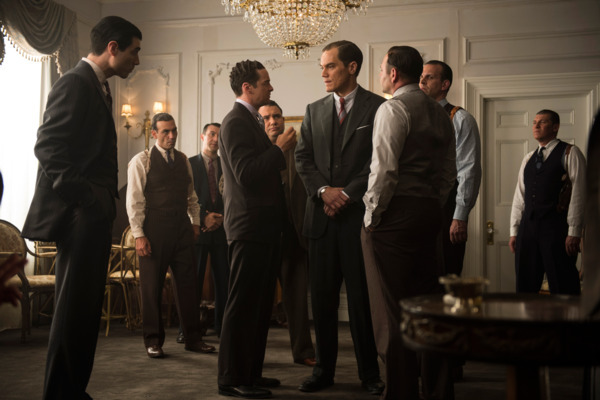 Boardwalk Empire Recap: Wish for Greater Knowledge So now we know what Gyp Rosetti likes. Boardwalk Empire Recap: Any More Second-Guessing? Mr. Poofles. That is all. Boardwalk Empire Recap: Make the World Smooth for Me Sentences that mean the opposite of what they mean. Boardwalk Empire Recap: Am I Interesting Now? 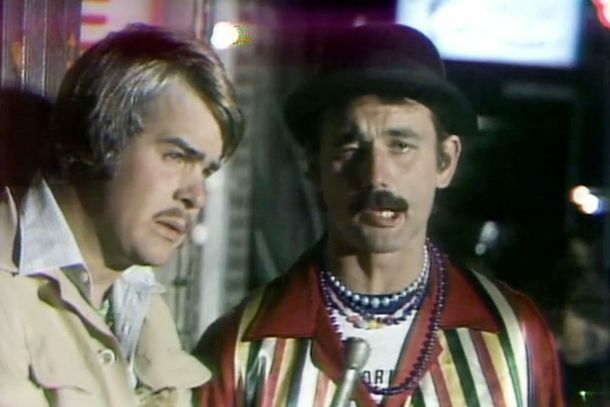 This episode is all about Chalky and Eli, and it’s all the more interesting as a result. Boardwalk Empire Recap: You Can’t Be Half a Gangster A large-canvas show like this one also can’t get by with half a protagonist, which was too often what it felt like last year. Boardwalk Empire Season Four Finale Recap Finally, a season finale that sets up plotlines to continue into next year. Boardwalk Empire Recap: Running Out of Road Boardwalk Empire is at its best when it can strike a balance between being obvious and very obscure. Boardwalk Empire Recap: Let’s Get It Sorted Out This week’s episode managed to build up a good head of steam. Boardwalk Empire Recap: I Want You to Know It’s a B-story-packed episode of Boardwalk Empire, in which we connect with old friends. Boardwalk Empire Recap: Sing It Again, for Me The most dramatically straightforward episode of Boardwalk Empire this season is its most satisfying one yet. Boardwalk Empire Recap: Vague Feelings of Unease Several main characters go AWOL this episode, but we get to catch up with everyone else. Boardwalk Empire Recap: Live With It This advice from Nucky is not always taken. Boardwalk Empire Recap: Pranksters of a Violent Sort This episode hits all of the show’s major locations. 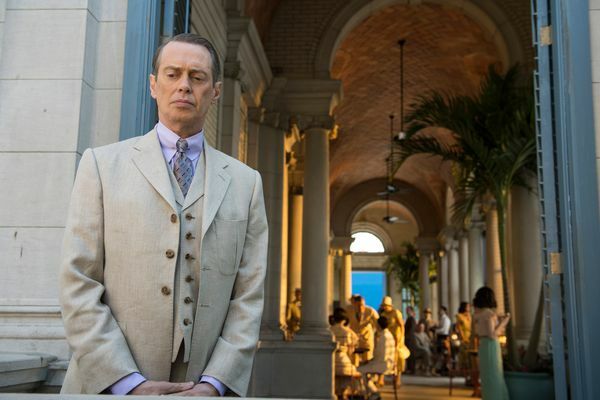 Boardwalk Empire Recap: Call to Account Nucky’s in Tampa and Dr. Narcisse continues to deepen. Boardwalk Empire Recap: The Libyan Man J. Edgar Hoover, I presume? Boardwalk Empire Season Premiere Recap: Just Some Fun Season four debuts by telling us it doesn’t pay to remember season three too much. 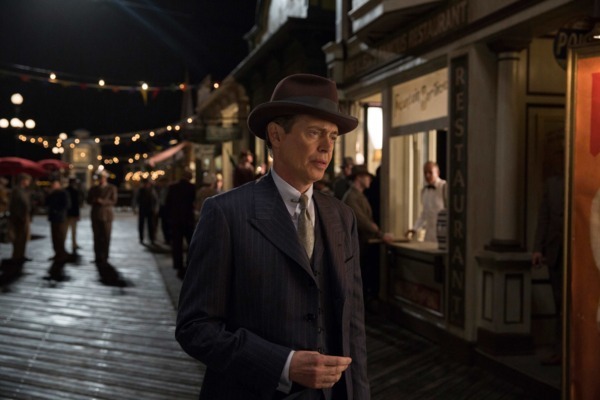 Boardwalk Empire Series Finale Recap: Thompson’s Way Farewell, Atlantic City. Boardwalk Empire Recap: Ruthless People Well, we’re almost there, people. One more to go! Boardwalk Empire Recap: Things Fall Apart Only three more episodes to go. Boardwalk Empire Recap: How Much Is Too Much? Margaret and Nucky hatch some plans. Boardwalk Empire Recap: All Down the Hole Who put the hit out on Nucky this time? 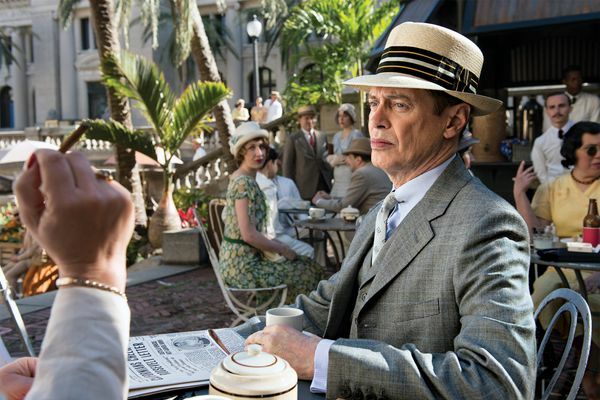 Boardwalk Empire Season 5 Premiere Recap: Past Imperfect Flash forward, flash back.